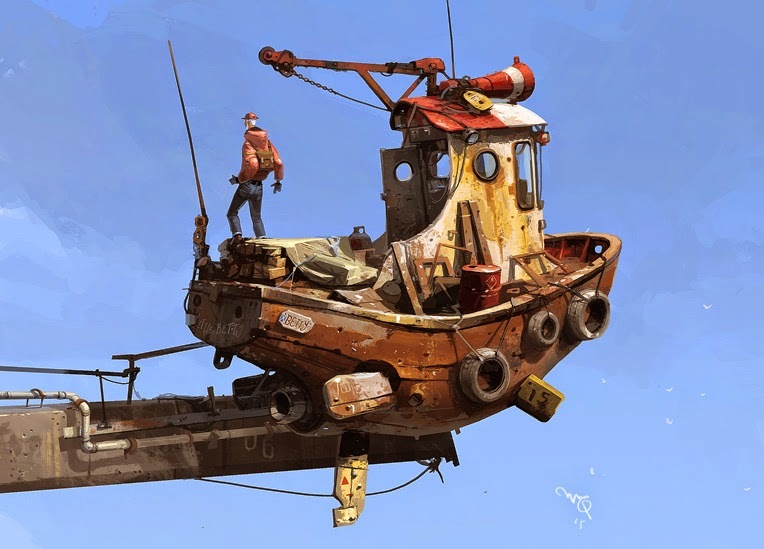 Ian McQue is known as the Pope of concept art. 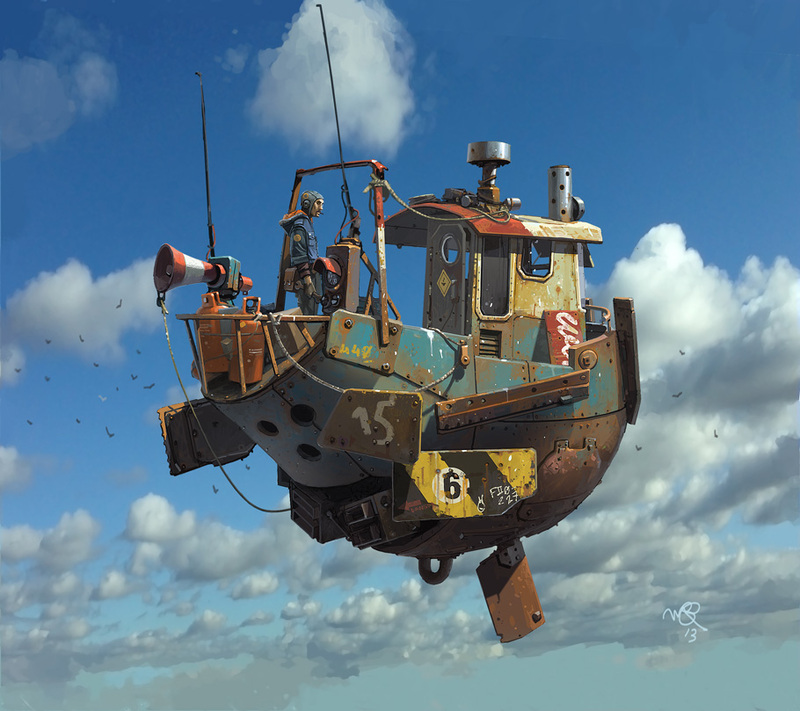 He studied Illustration at Duncan of Jordanstone in Dundee, Scotland and spent a couple of years freelancing before landing an artist position at game developer DMA Design. DMA eventually became Rockstar North and Ian became the Lead Concept Artist and Assistant Art Director. During this time, he worked on the Grand Theft Auto titles. 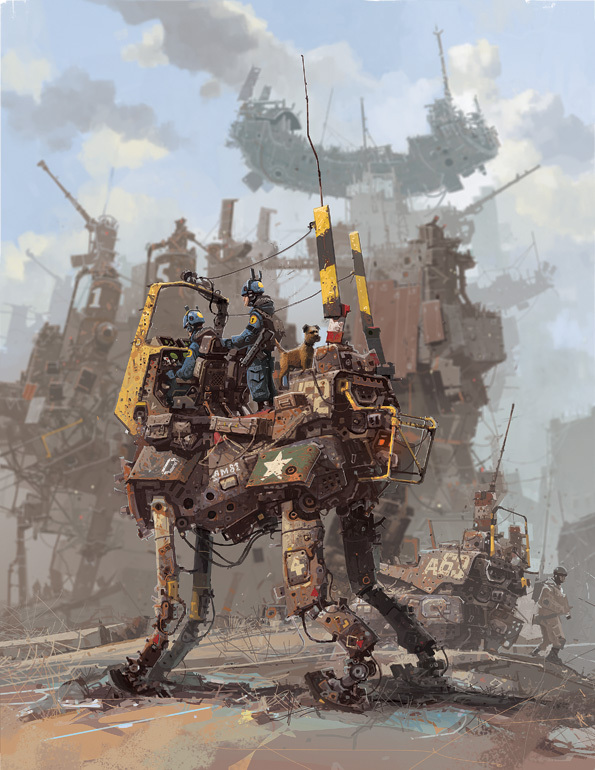 Ian had his work appear in books such the Spectrum series of artbooks, Sketching from the Imagination, Digital Painting Techniques Volume 4, Design Studio Press books BLAST and Nuthin’ But Mech, including his own artbook, A Book of Drawings by Ian McQue. 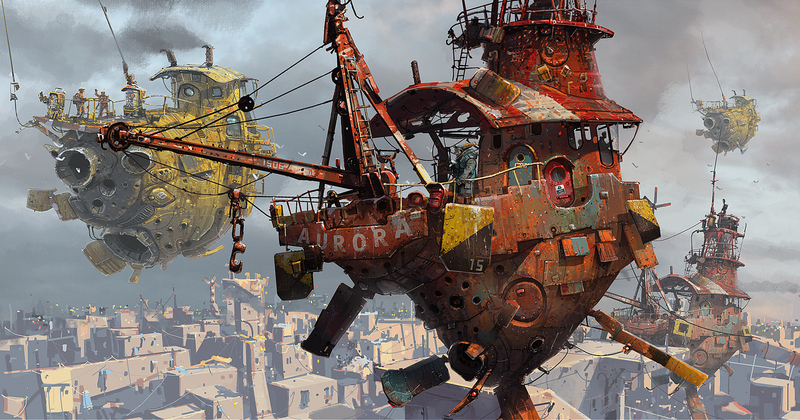 As usual, below are a few choice samples I have collated for your viewing pleasure. If you click on an image it will take you to the originating site. Enjoy! 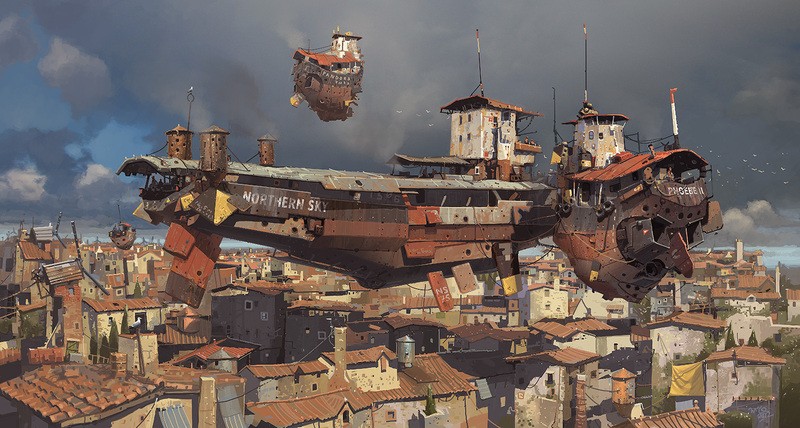 I love the apparent functionality of these floating ships and mech designs. 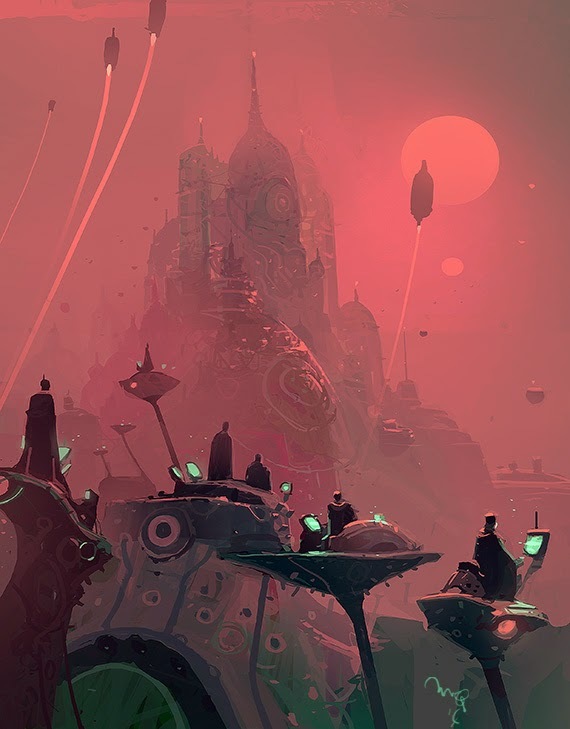 When you look at the paintings you get a well-used feeling like they are working machines constructed for the rigors of skyportation (yeah, I just totally made that up). 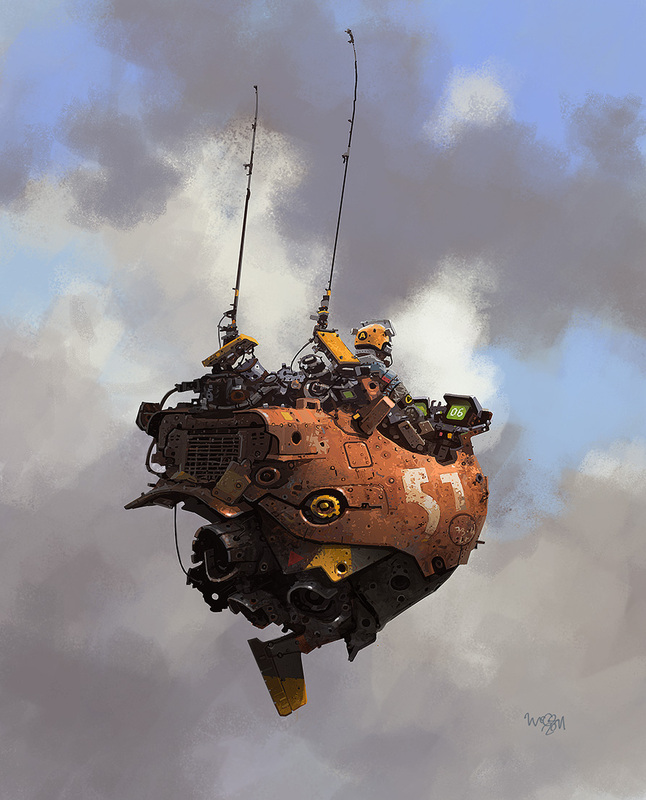 I have always preferred my mechs and tech robust and functional in movies and art. I trust you enjoyed today’s artist. Feel free to share your opinions in the comments section below.